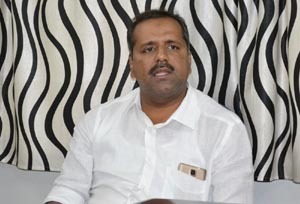 Mangaluru, aug 11, 2017: Mangaluru east police have arrested a Moodabidri native resideng in Bengaluru on August 10, Thursday for deroagtory comments against Food and Civil Supplies Minister U.T. Khader on social media. The arrested is Divya Prasad(35) works as a supervisor in a Hotel in Bengaluru. Basically from Moodabidri, but residing in Bengaluru. Sources said that team of policemen from Mangaluru East police had been to Bengaluru on arrested Prasad. He was produced before a city magistrate court here on Friday. The police said Prasad has been booked under Section 67 of the Information Technology Act.The police said Prasad has been booked under Section 67 of the Information Technology Act.